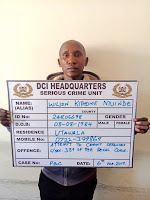 Wednesday, February 06, 2019- This man must be very courageous or very stupid after he was arrested while attempting to steal at the Directorate of Criminal Investigations (DCI) headquarters. 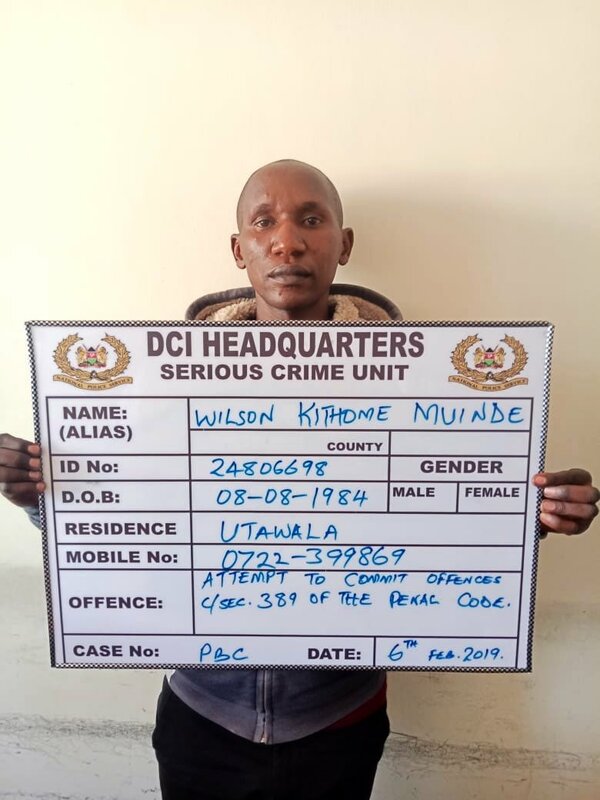 The 35, year old man identified as Wilson Kithome Muinde, was caught attempting to steal a spare wheel at DCI headquarters on Kiambu Road, from a vehicle that was parked outside. He was arraigned in court on Wednesday and charged with the offence of attempting to commit a crime. Kenyans ain't serious! Outside @DCI_Kenya honestly... Mental check up or ask him what led to him doing it, this ain't real!